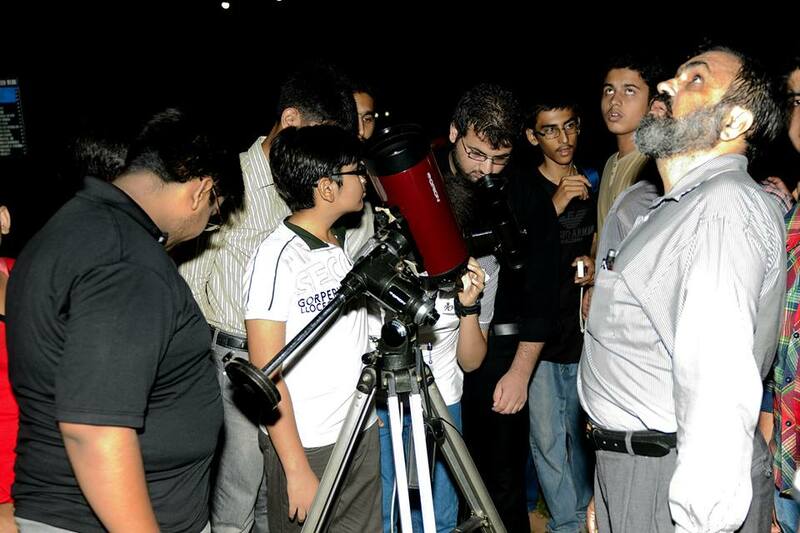 The Lucas Economic Society and Benade Physics Society arranged Astronomy Night on 8 October 2013. This event was organized in joint collaboration with SUPARCO, Khwarizmi Science Society and Lahore Astronomical Society. 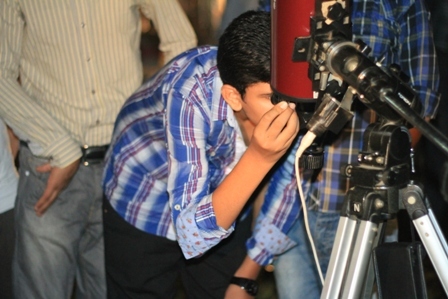 The event included documentary screening, and star gazing session. 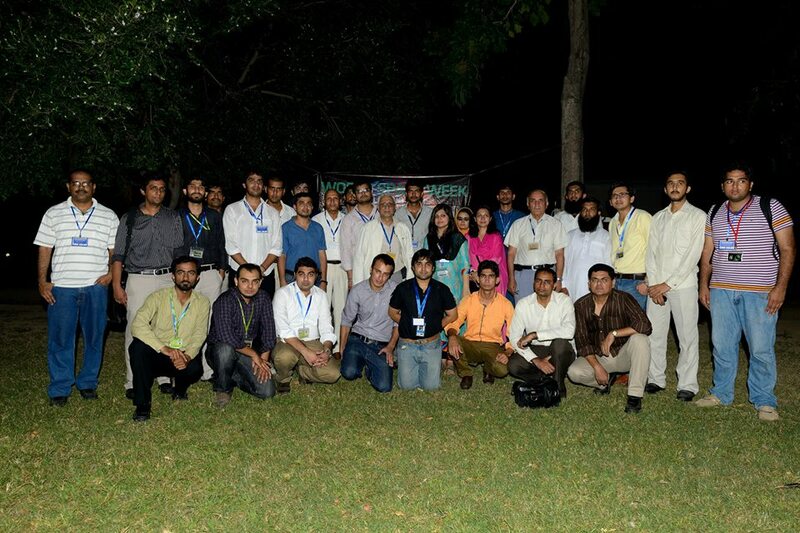 Almost 10 schools from different cities participated in this event. This event was a part of World Space Week 2013, which is held every year from 4 to 10 October. 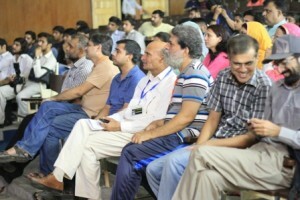 Two documentaries were screened in Sinclair Hall. The first one was an informative documentary about the Space and Upper Atmosphere Research Commission of Pakistan (SUPARCO). It included interesting insight about some of the major space missions of Pakistan, and also about the seminal contributions of SUPARCO towards research and development in the field of space sciences. The second documentary that was screened was about the life cycle of stars and planets. All the participants took keen interest in these documentaries. Dr Ali Khan also spoke to audience in Sinclair Hall. 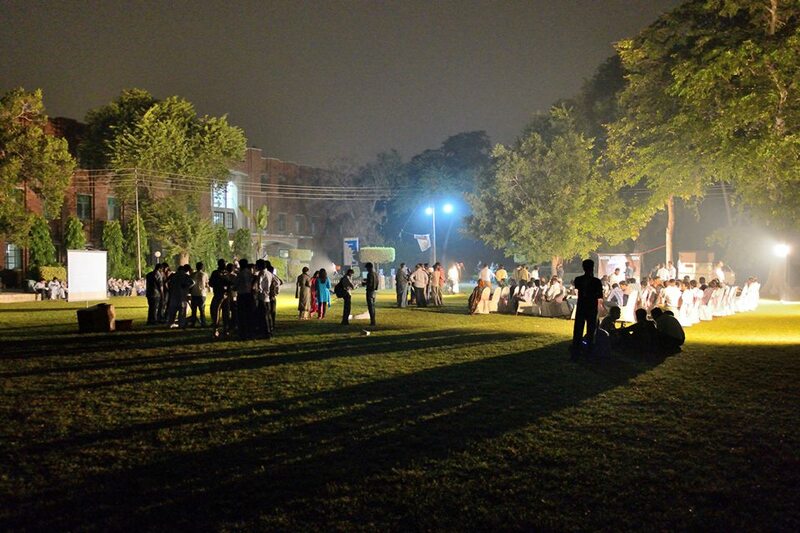 The star gazing session was arranged in the main ground after the documentary session. 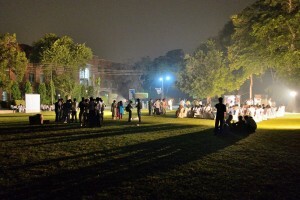 The participants viewed a number of heavenly bodies through the Alpha Helium Telescope and other telescopes that were brought on campus, courtesy Khwarizmi Science Society and Lahore Astronomical Society. The participants were shown different stars and planets, the distance of these heavenly bodies ranged from ten to hundreds of light years from the Earth. 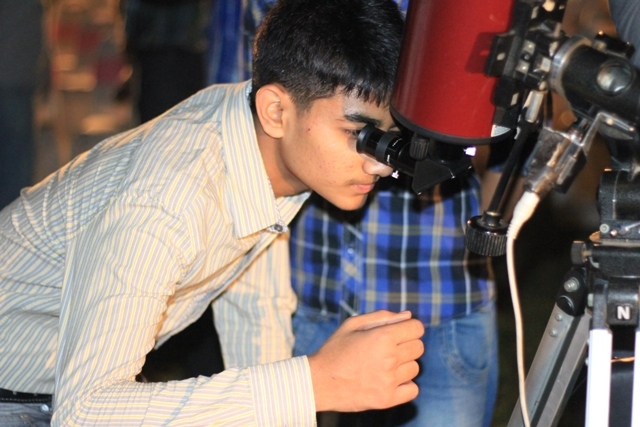 All the participants were really fascinated by looking into the deep space and also by learning various interesting facts about these distant stars and planets.